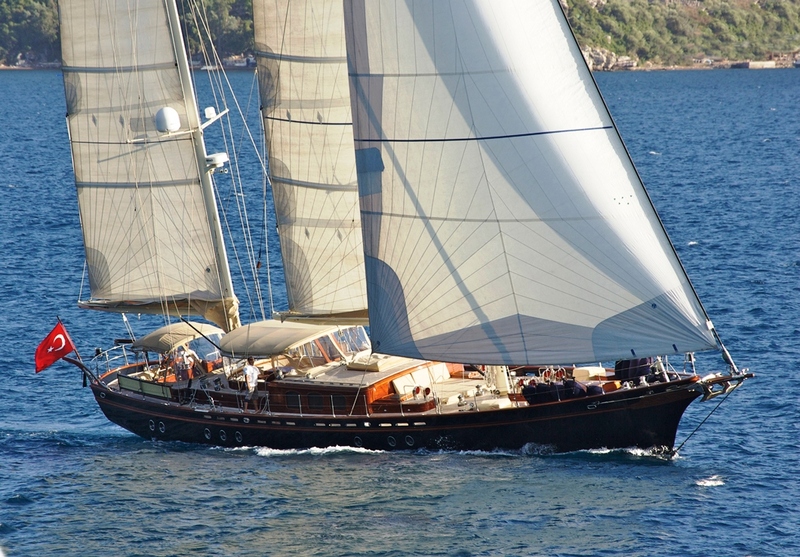 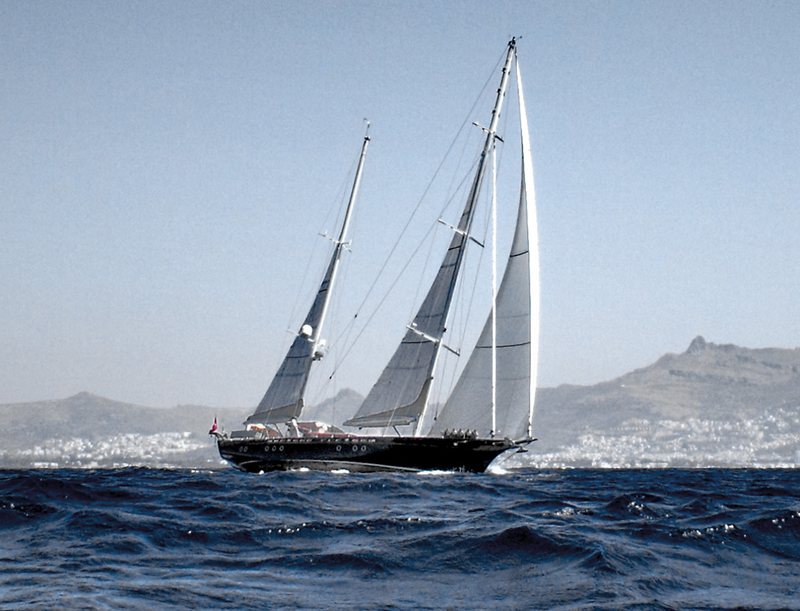 Sailing ketch ILIOS was designed by Taka Yacht designs and built by Kesgin Yachts in 2004, she has been maintained to a high standard receiving refits and upgrades, including a full repaint in 2011. 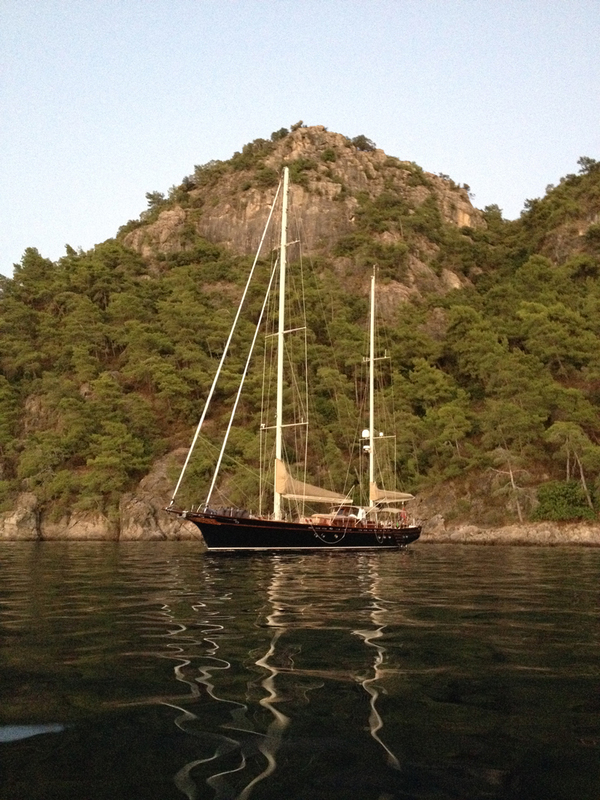 Charter yacht ILIOS offers deluxe accommodation for up to 8 guests and is available for charter in Turkey. 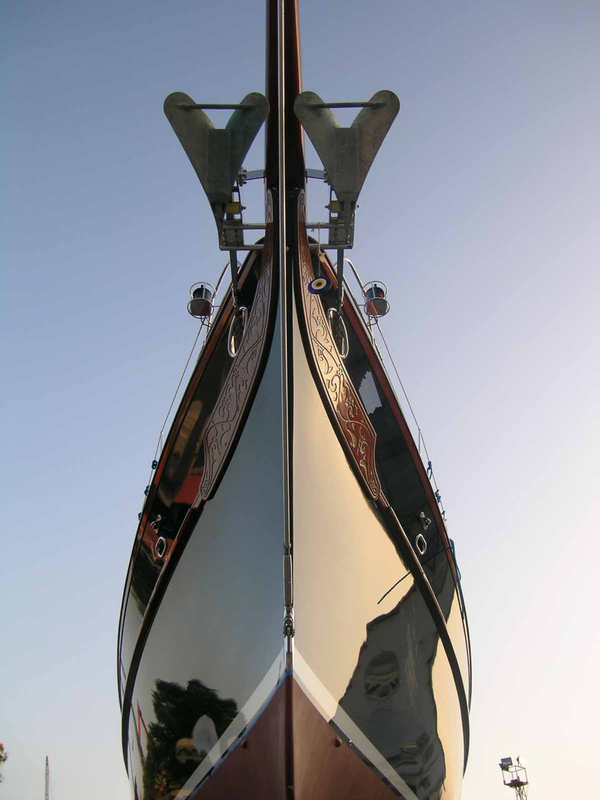 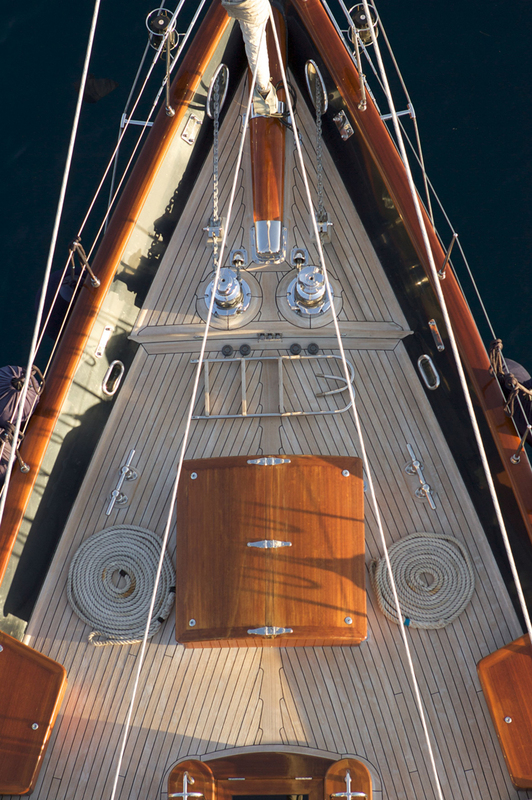 S/Y ILIOS boasts a traditional interior featuring satin varnished Sipo mahogany panels, teak and holly floors, varnished overhead beams with white deck heads and fine leather soft furnishings. 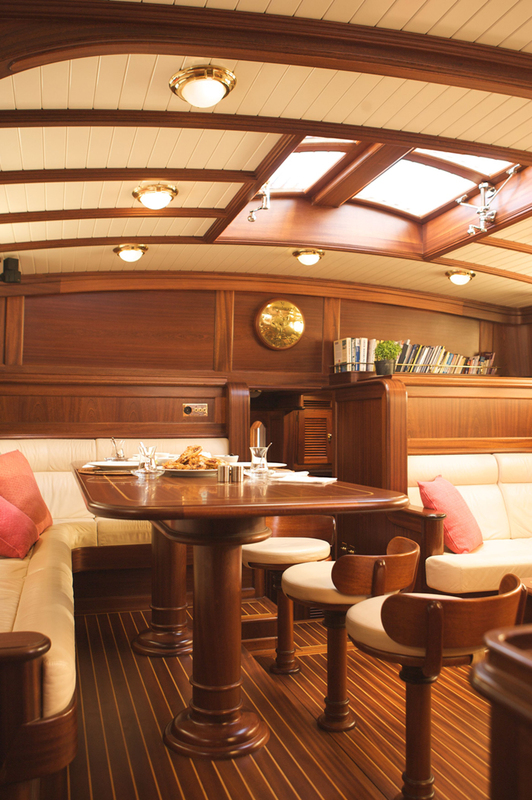 The salon and formal dining is an open plan with the table on the port side and sofa with coffee table to starboard. 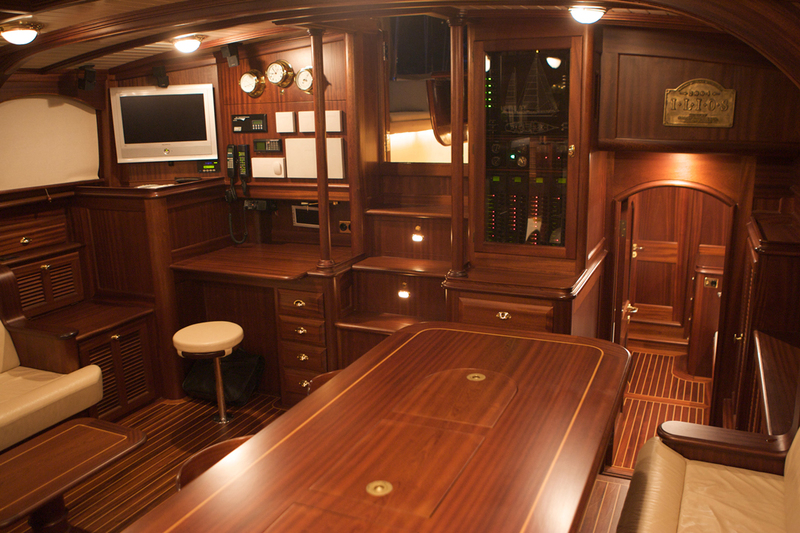 The space is slightly raised and receives plenty of natural light. 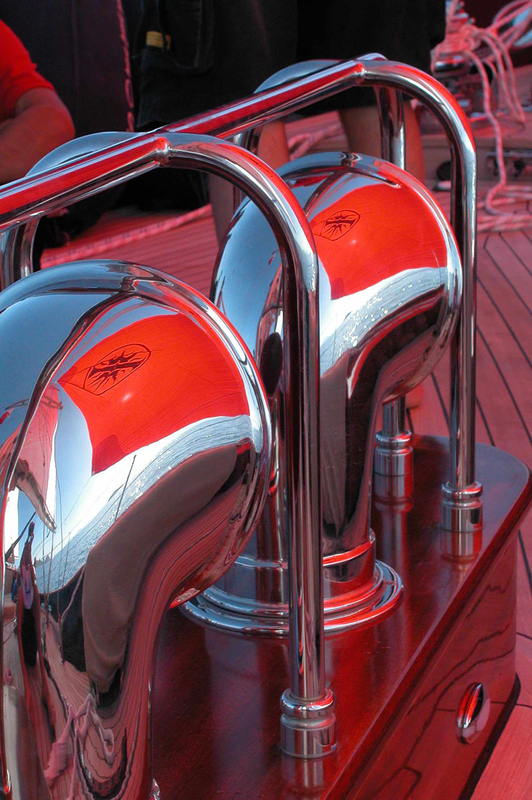 Guest accommodation is fore and aft of the salon in 4 cabins. 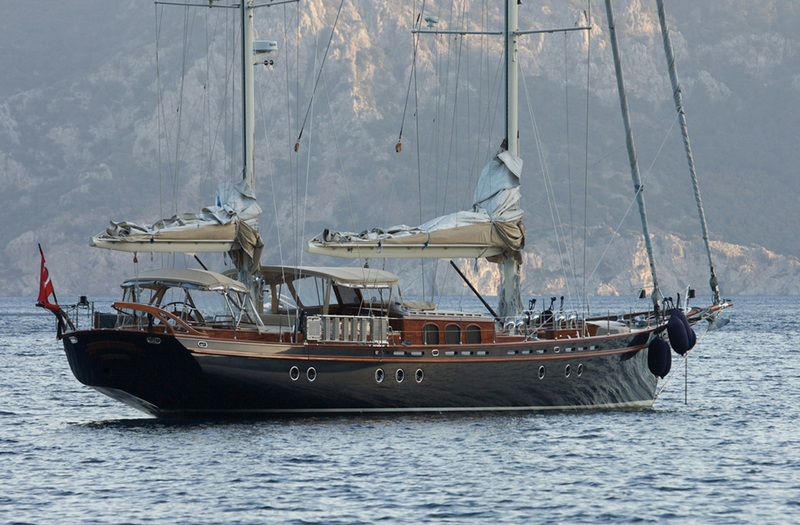 Charter yacht ILIOS offers plenty of further relaxing areas. 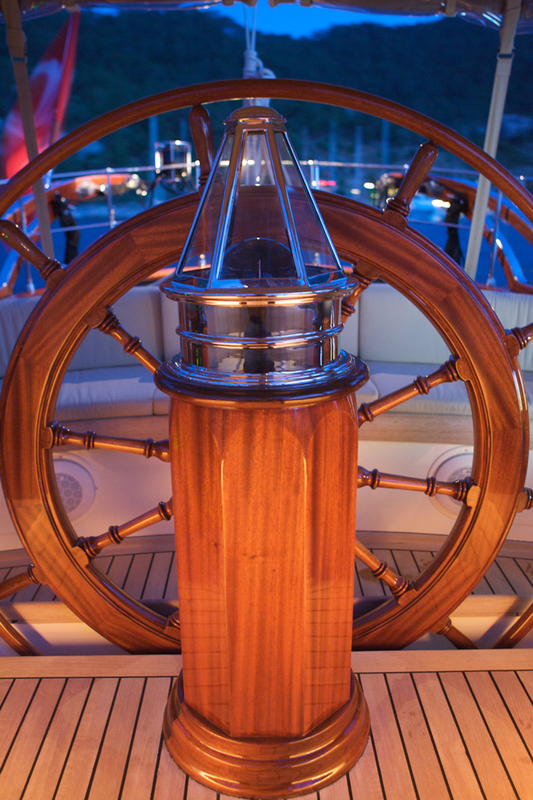 The salon companionway leads into a large guest cockpit which can be completely enclosed with drop down clear panels for optimum comfort in any weather. 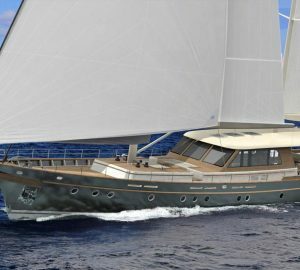 Further aft and separate is the helm and crew cockpit with additional seating if guests would prefer. 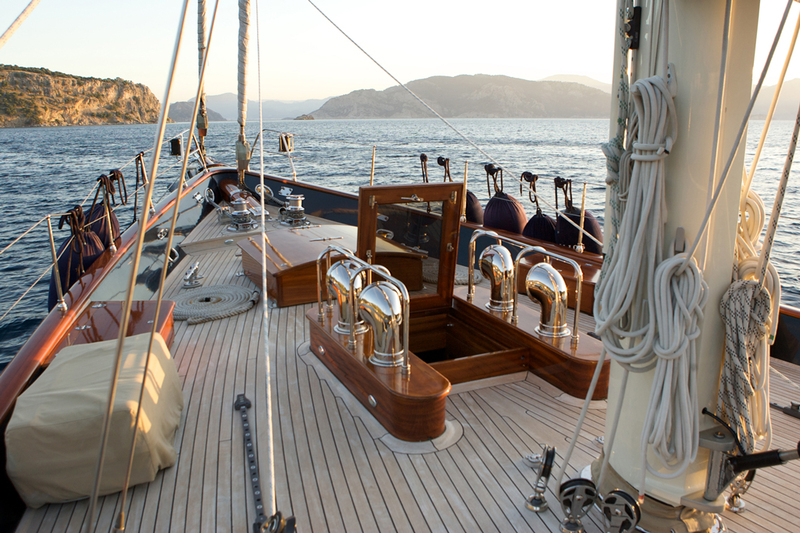 Sailing yacht ILIOS has wide teak decks providing generous places to enjoy, including a double sunpad on the foredeck. 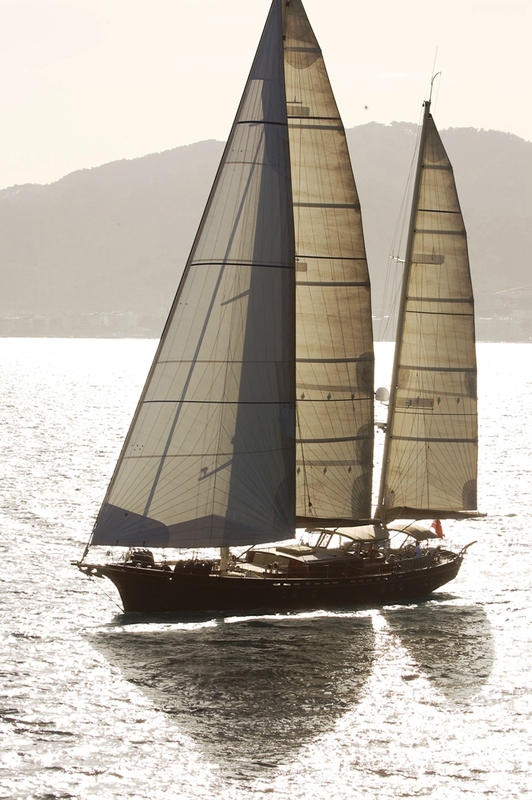 Ketch rigged ILIOS has a beam of 5.8m (19.5ft) and a draft of 3m (10ft), she is powered by a CAT engine when not under sail. 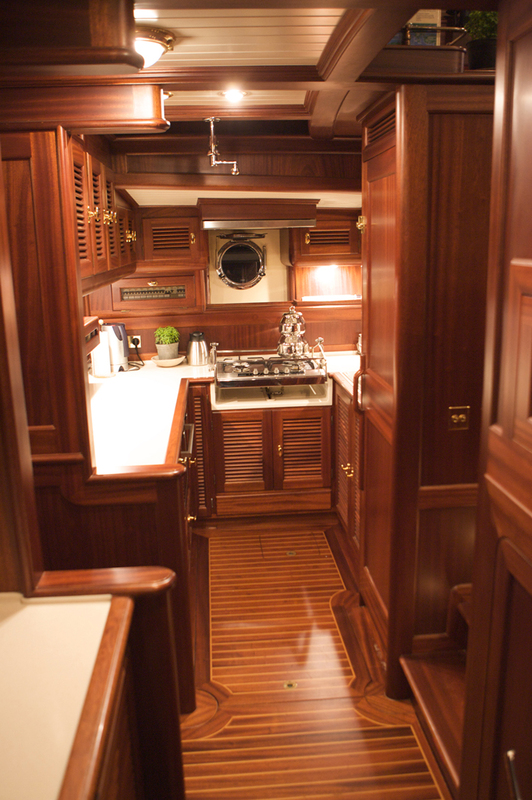 Below decks, charter yacht ILIOS can accommodate up to 8 guests in 4 en-suite cabins. 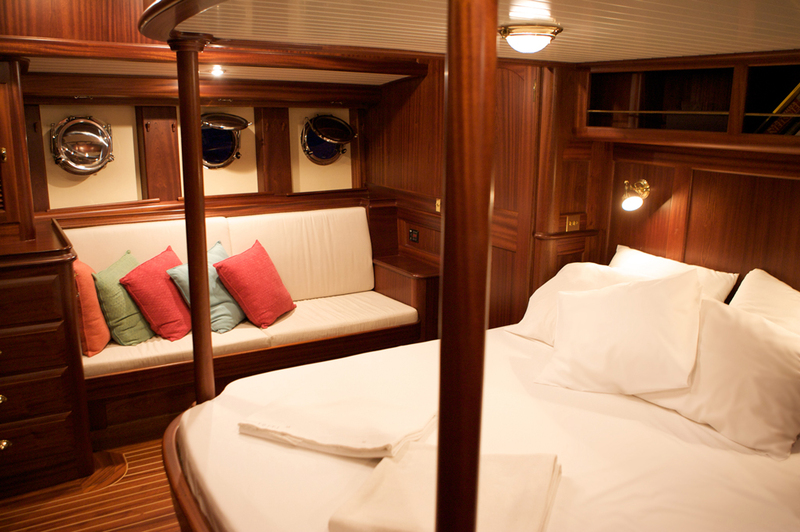 The master stateroom is amidships aft of the salon and full beam of the yacht with a center lined queen size bed, love seat and vanity. 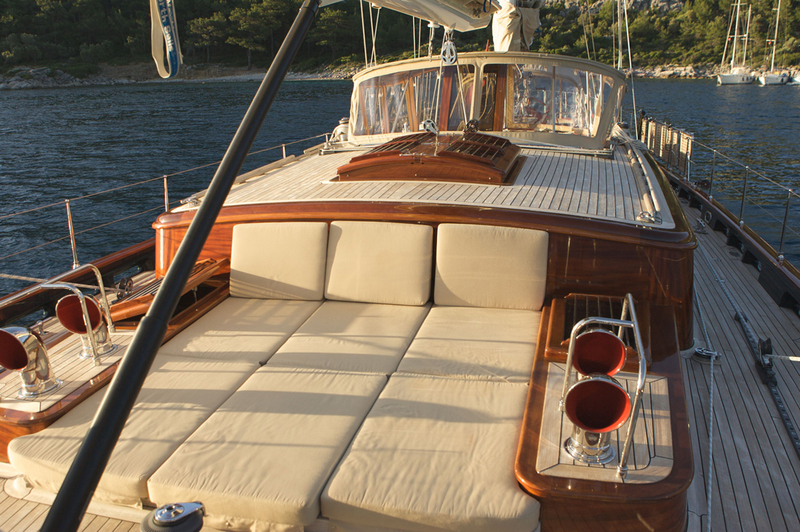 Aft of the master cabin is a twin cabin which is full beam of the yacht with 2 single beds. 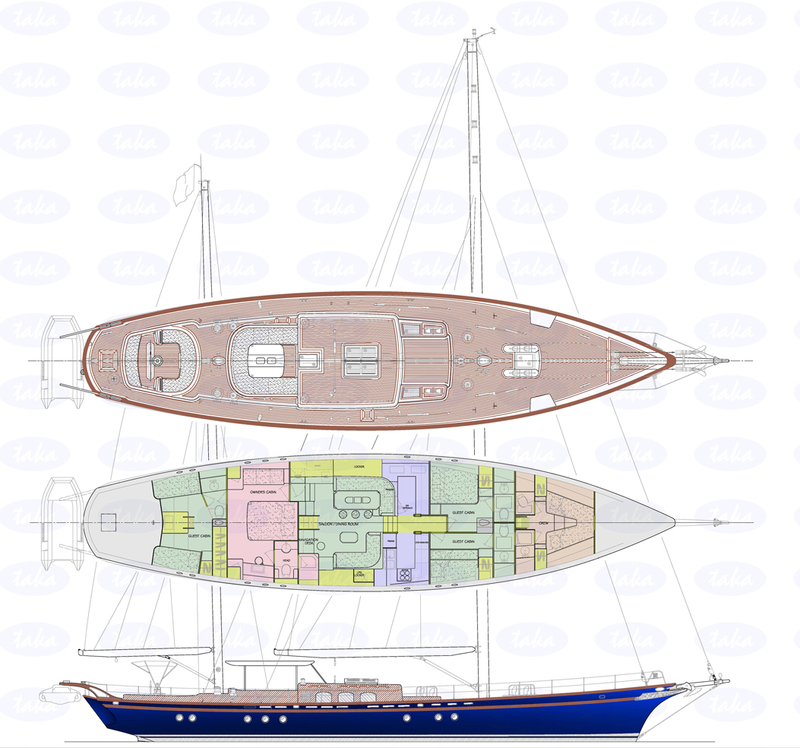 Forward of the salon a double cabin is on the port side and a twin cabin with 2 single upper and lower berths is on starboard. 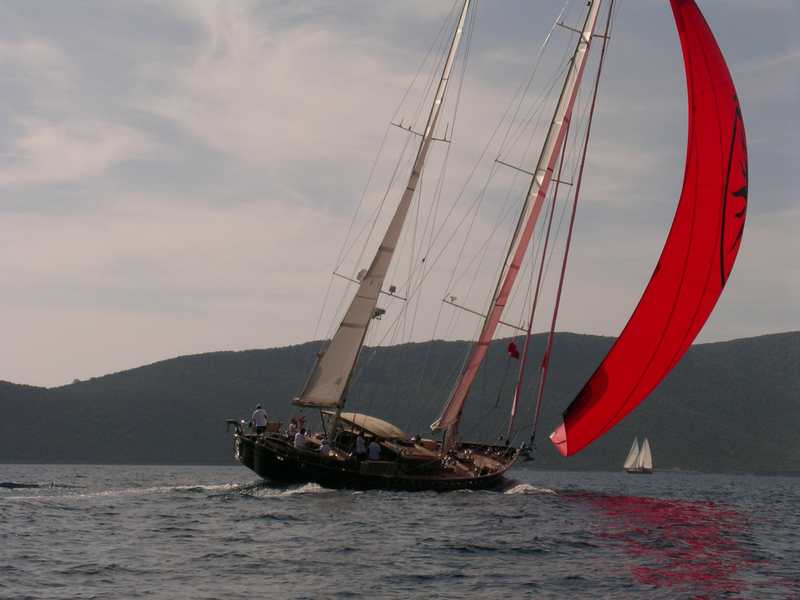 The ILIOS sailing yacht has an Avon 3.60 m RIB with 40hp Yamaha outboard engine, Zodiac Yacht Line 2.75 m RIB with 9.9hp Yamaha outboard engine, Telefunken 17” LCD connected to main satellite TV system and Bose Lifestyle 28 entertainment system, TV/Video/ audio system saloon Bose Lifestyle 28 entertainment system; DVD/CD player & AM/FM tuner, 5.1 channel music and motion picture surround sound, Link eyes for satellite TV system, Samsung 22” LCDTV/Video/ audio system deck Sound follows entertainment system of saloon with Bose 131marine speakers.